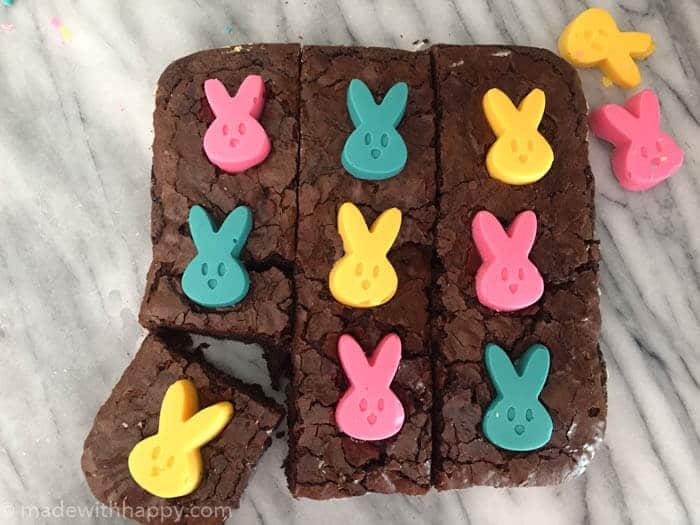 We adore brownies at our house and love when we can bring them to gatherings, but anyone that knows me, knows that baking isn’t my strong suit. This is primarily due to the fact that they never come out as awesome as I anticipated in my head. Total side note, but may be the lead culprit in my baking disasters of the past, but this past week, I finally broke down and bought an oven temperature gauge. I had a feeling that the temperature was off, but it wasn’t until I finally put that baby in there did I find out its TOTALLY off. So the oven has been added to the long list of items to be replaced when we have the ability. 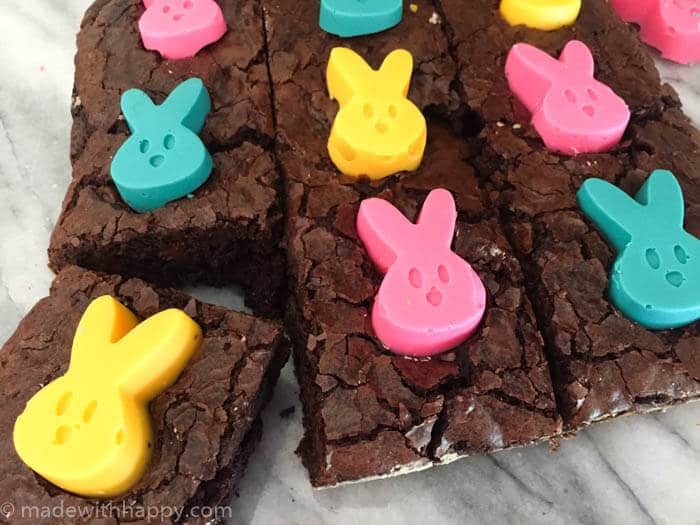 In any case, the kids and I love to make sweets for holidays and special occasions like Easter parties and so we came up with this fun, semi-homemade chocolate peep brownies. 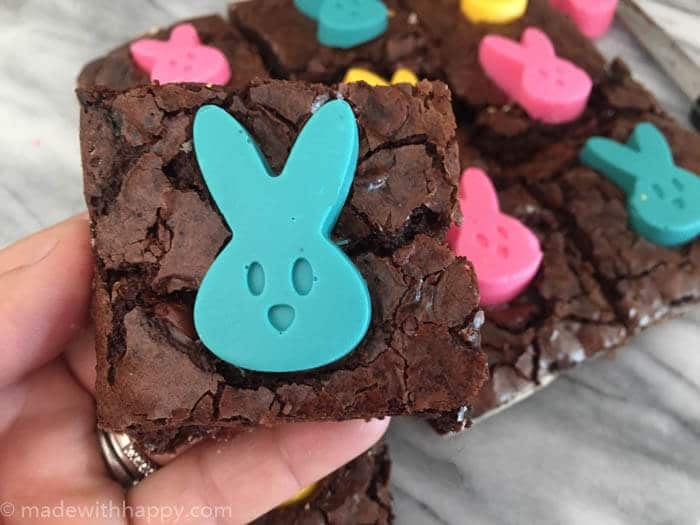 For this recipe, you can use your favorite brownie recipe whether it be from scratch or from the box. Next you will need a bunny mold and some pink, blue and yellow melting chocolate. While your brownies are cooking, you can melt each of the colored chocolates. You will only need a handful of chocolates for each color. 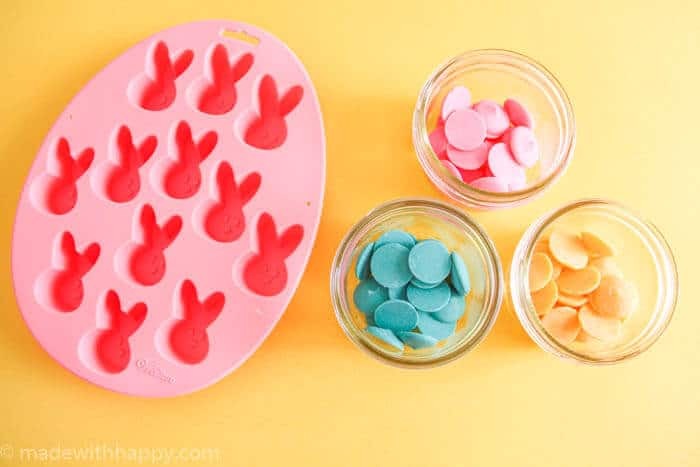 Once your chocolate is melted, spoon it into the peep bunny molds and then place into the freezer. 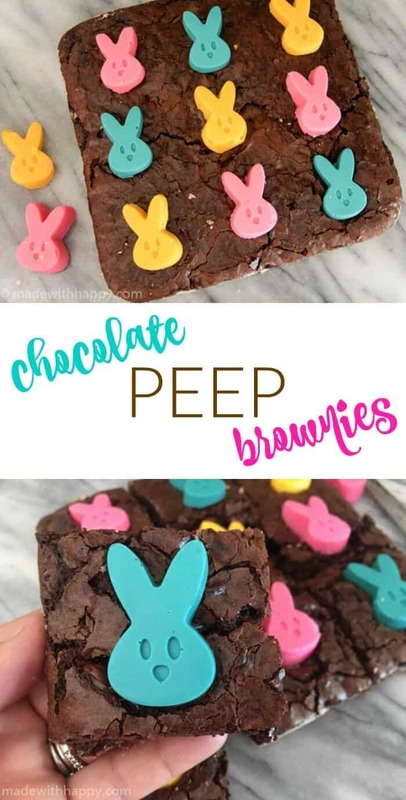 After your brownies are finished baking and completely cool, pop out the chocolate bunnies and place one into each of the brownies and serve. 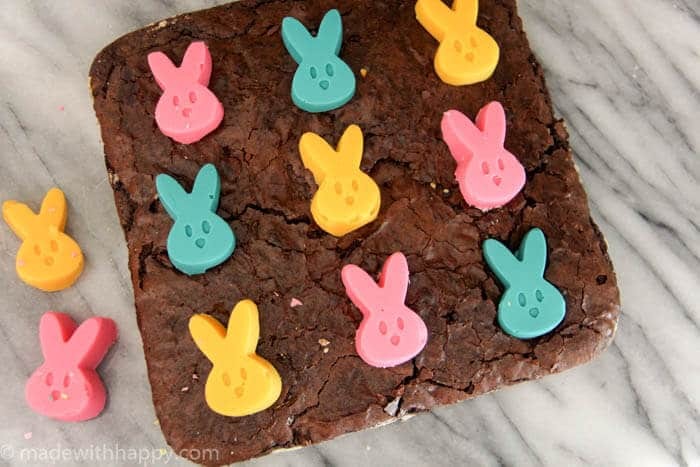 It adds some color and fun to your brownies, and who doesn’t love some extra chocolate? You will be the hit of any Easter celebration!